Simplify your life, all with a list! I remember sitting with my grandmother in their poorly lit kitchen while she scribbled out the grocery list for the week: the whole week. I remember going to the grocery store with my mom and siblings and filling up two carts at one visit till they overflowed. My mom food-shopped once a week for our family of five. She had a list and brought a pencil; she actually stopped in various aisles to cross items off her list. I was intimidated by their productivity and forethought. I have meant to write a grocery list for years, yet I usually don’t. Rather, my modus operandi often involves stopping at one, or two, or even sometimes three different stores and purchasing food for just a few dinners at a time. Although I keep our pantry fully stocked, I still find myself at the grocery store several times a week. Who has time for that? My excuse for the last several years has focused on the food itself. It will be fresher, I say; it will be healthier this way – less packaged and processed foods, nevermind the waste of my time. Cue my introduction to meal planning. 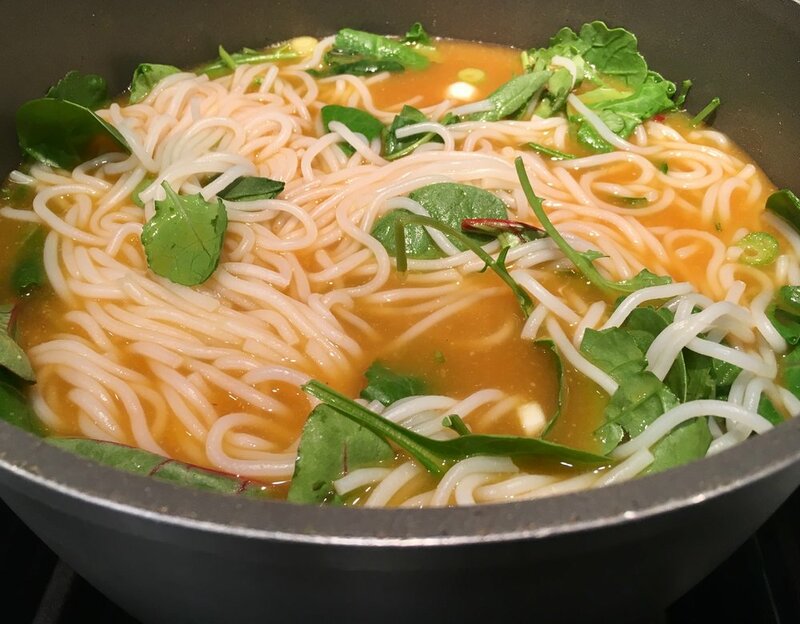 I have been building an account on Instagram for just over two years and in that time, I have learned that many people actually plan their meals well-ahead of time; I have seen their gorgeous posts, full of super healthy meals, full of good-for-you nutrition that I’d want to feed myself and my family. And still I couldn’t do it: until recently. I have just discovered two fun and non-intimidating tools…and best of all, they actually do make it easier! I’ve been playing around with a Petite Planner from Erin Condren that lets you write in what you want to serve for each meal. I especially like to at least outline what I am thinking of for family dinners during the week – maybe chicken tonight and salmon tomorrow, for example. I have found that this allows me to have my cake and eat it too: I can still go to various grocery stores for specific food items (like our local fish market) but with a plan in place, I find that I can cut down on the times per week that I have to go to more than one store. Pretty fantastic! In addition, I’ve been getting to indulge the artist in me with a wipe-off grocery list dashboard: I choose the color pen that I like that week, and can mark down what I need off of a pre-populated list. 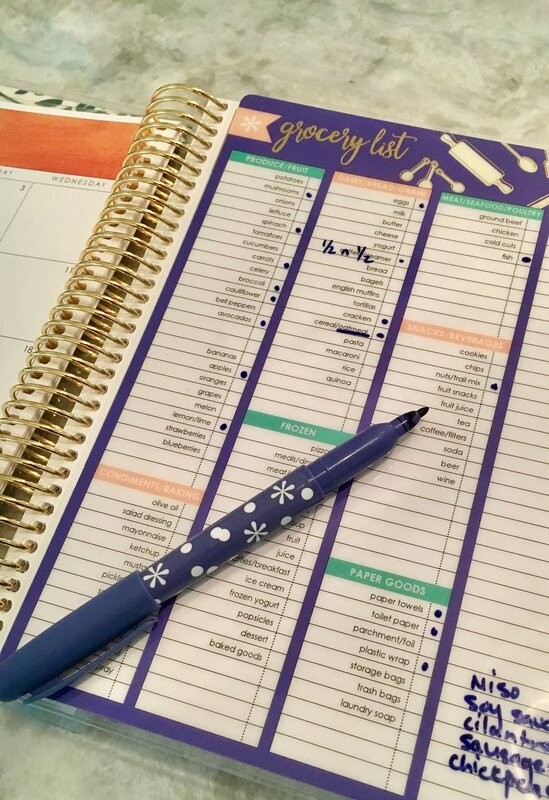 While I write in any specialty foods we may need, the exercise of reading through quickly what’s on the list, and checking off items and adding items is not only fun (I change up the color pen each week…!) but again, a time saver. No matter how hectic your week or how much time you have to cook; from elaborate gourmet meals to simple store-bought rotisserie chickens, meal planning always ensures you stress less and save more!